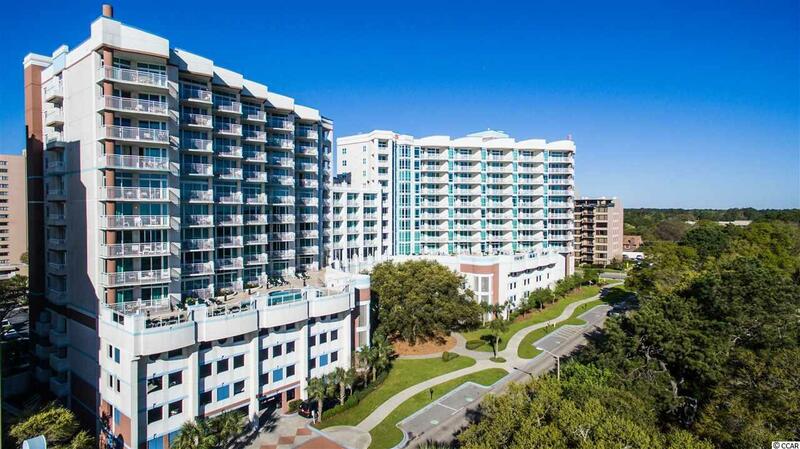 215 N 77th Ave. N #206, Myrtle Beach, SC 29572 (MLS #1820758) :: Garden City Realty, Inc. Convenient second floor unit with great ocean views! This unit has everything! Nicely decorated and great amenities. This is a great rental property. Ocean view from the living room and master from your own private balcony. Horizon owners can enjoy the amenities package for its sister-building Grandshores Resort which include ocean front roof top pool and a full service restaurant. Everything is included in your HOA, including utilities, building insurance, and HO6. The Horizon At 77th N.